The conversion of the existing building into a Museum for the Arcadian Ideal and the study of the surrounding area, utilized inventive ecological design and energy sustainability for the building. 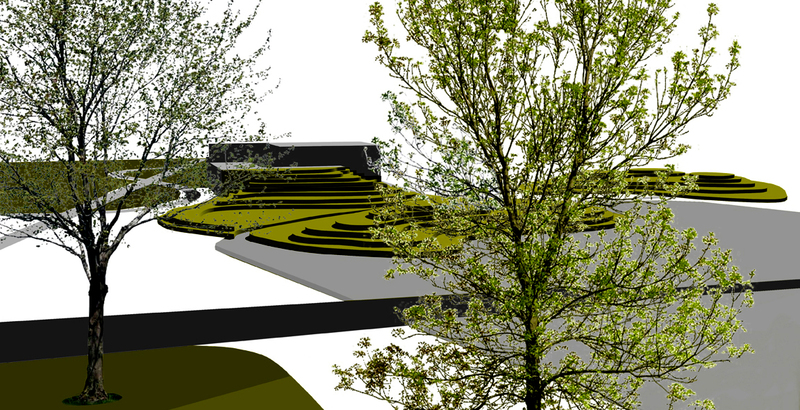 The surrounding area is designed as a continuation of the natural landscape, a conceptual and visual connection with the archaeological site. A key cross-shaped alignment connects the entrance to the visible archaeological site and the Museum. Alignments with symbolic references to the mythology of the Arcadian Mantinea land, nostalgia, harmony, the human measure, organicity and the life-giving element of water are metamorphosed to curved, snake- like paths and mastoid endings, as symbols of prosperity that run throughout the property. 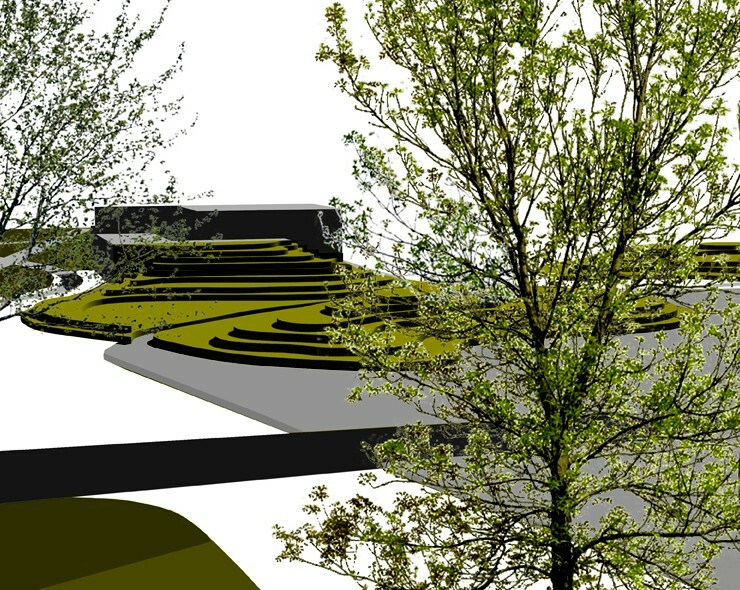 Landfills form hills covering the north side of the Museum and a sculpture- like water wall signifies the entrance on the south side. A palimpsest of botanical collections, low bushes, flowers, planting and cultivation zones of the local flora, allows guests to feel at home in the Arcadian landscape. An exhibition space is hosted to the ground floor for permanent and temporary exhibitions, along with administrative offices and an interactive maze designed under the principle of “House in House”. On the first floor, the visitor’s reception area has direct visual connection to the archaeological site and the oracle plain. The building facades incorporate bioclimatic design principles, whereas the south side a wall with photovoltaic systems ensures energy self-sufficiency for the museum.